Bombing suspect mentally ill. Deep State cozies up: another #badguy Foiled! Stop me if you start to see patterns. Obsession with patterns can indicate schizophrenia. 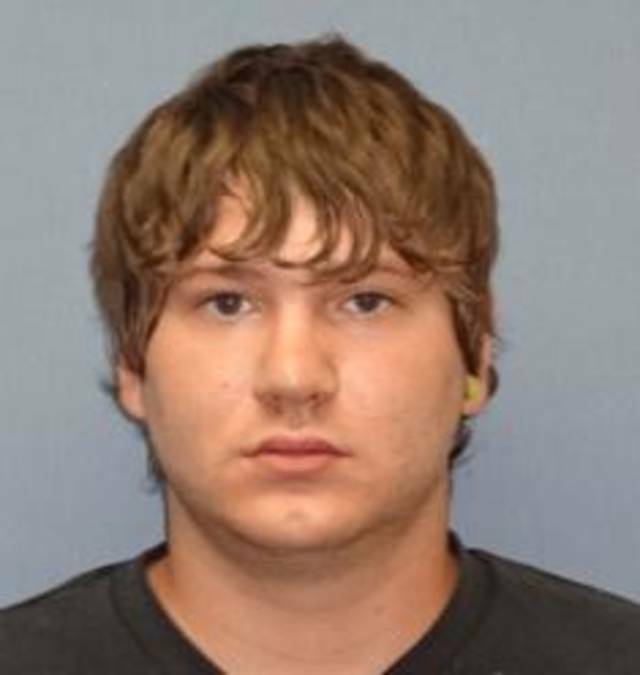 Family members of Jerry Drake Varnell issued a statement late Tuesday night regarding his involvement in Saturday’s attempted bombing of a downtown Oklahoma City bank building. “We as a family are extremely distraught about this situation with our son Jerry Drake Varnell, but what the public must understand is that he is a paranoid schizophrenic and is extremely susceptible to different types of ideology that normal people would deem immoral. Underneath his condition, he is a sweet-hearted person and we are extremely shocked that this event has happened. However, what truly has us flabbergasted is the fact that the FBI knew he was schizophrenic. The State of Oklahoma found him mentally incompetent and we, his parents have legal guardianship over him by the Court. These documents are sealed from the public, which is why no news media outlet has been able to obtain them. The FBI clearly knew that he was schizophrenic because they have gathered every ounce of information on him. Reading the criminal complaint against him has brought us great pause due to the numerous lies from the informant. We do not have an underground bunker! We built our home a few years ago and bought a storage container, as we use it for a storm shelter. We only recently pushed dirt up around it to make it safe. The building is used for storage and is NOT a bunker full of food and supplies, in fact the doors close from the outside. It has neither electricity nor anything that would make it habitable. What the public should be looking at is the fact that the FBI gave our son the means to make this happen. He has no job, no money, no vehicle, and no driver’s license, due to the fact that he is schizophrenic and we; his parents do everything we can possible to keep him safe and functional. The mental health system has consistently failed us due to the lack of establishments and health care coverage for a person like him…. The short answer, of course, is that there’s waaaaaaay more money in fake terror plots. I would LOOOOOOOOVE to see this kids internet history-and trace all of the connections he had(and did not knw he had) to Fusion Centers, squad cars, the Rotary Club, etc-all of those InfraGard goodguys who are “protecting the wimmin and chilren,” from #badguys- and just to see how much of my many thesis could be validated in this one single case alone. Alright folks, try not to let all these “pattern’s and coincidences” cloud YOUR patriotic vision-and keep milking that “anti-turrerismsmsmsms” teat til the cow’s come home to roost. And of course, carry on! Nothing to see here! MooooOOOOOooove along now. But before you get back to that trough over there (the one with the hen house on top, and the fox, there, guarding the hens safety) take a look at Google search terms like “”gang stalking” and “neighborhood watch” which returns about 37,100 results worth of “coincidences.” It’s starting to look like a “pattern,” similar to how some say that “community clubs” like the Rotary and more are involved. Hmmm. Try not to make yourself crazy in that echo chamber, lol. These and other such ‘citizen safety’ or ‘crime prevention’ groups, which any citizen can join, are a house-hold name. We put our trust in these groups, who declare themselves to be the ‘eyes and ears’ of the state. COULD IT BE POSSIBLE THAT CRIMINALS HAVE IN FACT INFILTRATED, STARTED UP, OR HIJACKED MOST NEIGHBORHOOD WATCH-TYPE GROUPS, AND ARE INSTEAD USING THEM AS A FRONT TO VICTIMIZE AN INNOCENT CITIZEN LIKE YOURSELF IN A COORDINATED CAMPAIGN OF TERROR?….Community based policing groups such as neighborhood support are now using neighbor’s to help them to psychologically and socially attack an innocent individual who they have chosen for ‘destruction’. And here is a correlation between an “increase in federal funds for neighbors to wage hidden terror campaigns on other neighbors” and “positive spin” from spin doctors that claims ‘crime goes down’ with community watch groups. Hmmm. I guess that depends upon how you define “crime,” and whether or not you can catch the rat’s at your windowsill. Here are tools YOU can use to catch these voyeurs, bullies, and internet switch redirectors in action. Next ›What is the Domestic Violence Industrial Complex, and who pays for it?